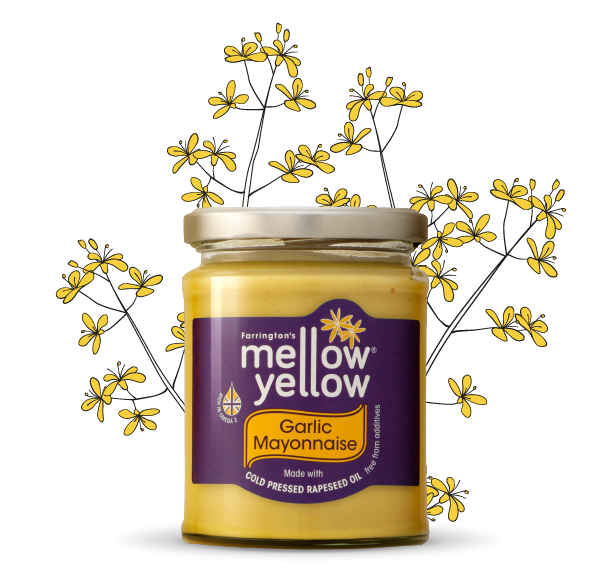 Made with our cold pressed rapeseed oil and packed with garlic, this is a store cupboard staple for all occasions. Based on our classic mayonnaise, this addictive Garlic Mayonnaise is packed full of garlic pieces ensuring a burst of flavour in every mouthful. Our aioli style mayonnaise is the perfect accompaniment to meat and fish, delicious as a dip for crudités, saucy enough to be spread across sandwiches, wraps and burgers, or use it to add a cooling contrast to your spicy dishes and kebabs. 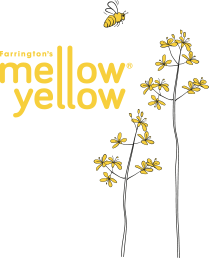 Mellow Yellow Rapeseed Oil (68%), pasteurised free range egg yolk, water, Dijon mustard (water, mustard seeds, spirit vinegar, salt), garlic granules (3%), sugar, white wine vinegar, concentrated lemon juice, salt.